This is a sponsored post written by me on behalf of Grace Hill Media. All thoughts are 100% my own. Leave it to Rocky to give us a good quote about perseverance, am I right? Over the years, I've grown quite the appreciation for the Rocky movies. They happen to be my husband's favorite movies and so I've watched them time and time again. And I've come to the realization, they are not just boxing movies but a great lesson to live our life by: no matter what life throws at you, just keep on fighting. At some point in our lives, we all need that lesson, don't we? We might not step into a literal boxing ring, but life certainly has a way of making us fight and we have to learn to just keep going. We have to keep our eyes on that moment of victory, that moment where we can raise our fist in victory...we have overcome! For me, I have seen this in my battle with anxiety that I am currently fighting now. Ah, yes... that Rocky really was onto something there wasn't he? 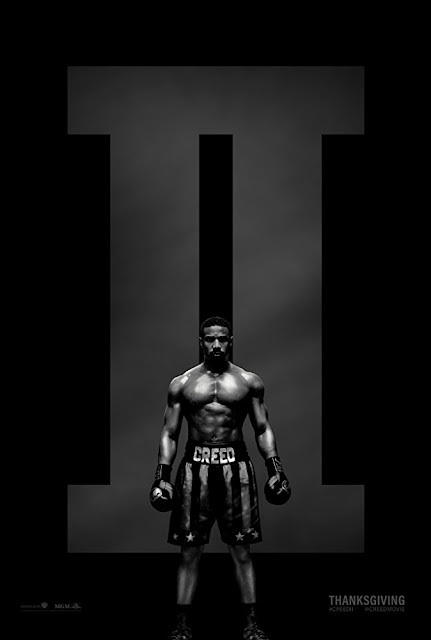 Creed II will hit theaters everywhere November 21, 2018. What hard hits have you had to fight through in your life? How have you overcome? What messages from Rocky/Creed can you take with you in those battles?